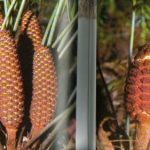 Cycads – You can buy plants online by simply clicking “Add” under the photos below and then proceed to the checkout when ready. Cycads are seed plants with a long history. 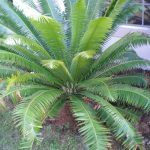 Cycads can compliment most landscape designs, from a small nursery to a large rock garden they enhance the feel of landscaped gardens and can be included in most garden designs. They typically have a stout and woody (ligneous) trunk with a crown of large, hard and stiff, evergreen leaves. They usually have pinnate leaves. The individual plants are either all male or all female (dioecious). Cycads vary in size from having trunks only a few centimeters to several meters tall. They typically grow very slowly and live very long, with some specimens known to be as much as 1,000 years old. Because of their superficial resemblance, they are sometimes mistaken for palms or ferns, but they are not closely related to either group.